Business uniforms convey a distinct impression about the quality and professionalism of a company and its services. By choosing uniforms that strongly convey your organization’s image, you maintain a strong identity with your brand and service. SPARKLE carries comfortable work apparel made by RedKap, the industry leader in professional work wear. Garment construction, styling, and comfort combine to make the perfect choice for your uniform needs. SPARKLE specializes in uniform products that will provide your employees with appropriate OSHA-compliant personal protection against flash exposure to electric arc or fire. Your SPARKLE Customer Service Representative can assist you with proper selection of flame-resistant garments to meet your specific protection requirements. We’re about more than just providing you with garments. We want to improve every aspect of your uniform program. At SPARKLE, our advanced technology enables us to be more efficient and effective, allowing us to pass along the savings to you! Scantrax Garment Tracking System – Integrated UHF RFID technology that tracks all garments received at our production facility, to guarantee no missing items and 100% accurate deliveries. Sparkle Mobile Scantrax Garment Repair App – A downloadable app for smartphones allows your employees to easily notify Sparkle of any repairs or attention required of their uniforms. Customer Advantage Program (CAP) – Our CAP program is designed to eliminate surprise unexpected fees such as accidental loss and damage charges, unreturned product charges, and replenishment charges, replacing them with one simple and consistent weekly charge. Uniforms are SPARKLE’s specialty. Our independent and family-owned operation allows SPARKLE the flexibility to meet the individual needs of our unique local businesses, all while providing the best value in our community. We’ll work with you to make sure that you get exactly what you need to keep your business looking sharp and, well, sparkly. 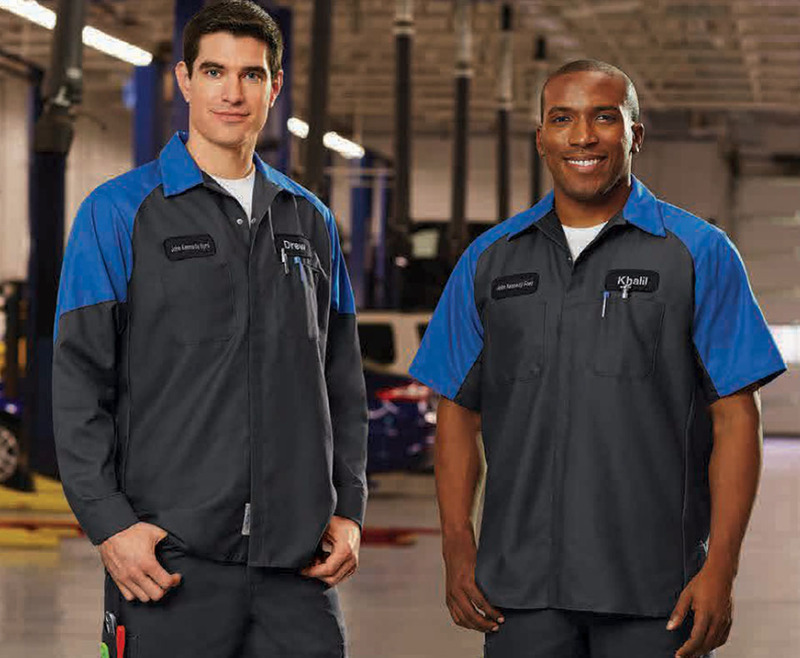 Contact us today to get started on your quality uniform service! Our phone number is 661-634-1130.